North Carolina Insurance Commissioner Mike Causey shares the success story about North Carolina’s captive insurance program. Since its 2013 inception, each year the captive insurance program has experienced growth in the number of captive insurers forming and redomesticating to North Carolina. This success has taken place because of North Carolina’s appropriate yet pro-business approach to regulation; the support and participation by captive insurer owners, captive managers and other captive insurer service providers; and the contributions of the North Carolina Captive Insurance Association. As a result, the captive insurance industry has favorably impacted North Carolina’s economy by creating jobs, generating premium tax revenues, and generating North Carolina business revenues. Commissioner Causey looks forward to what is in store for the future of the North Carolina captive insurance program as the North Carolina Captive Insurance Association, the captive insurance industry, and the North Carolina Department of Insurance work together for the common goal of a strong, healthy captive insurance industry in North Carolina. North Carolina continues to prove to be a great place for captive insurers. 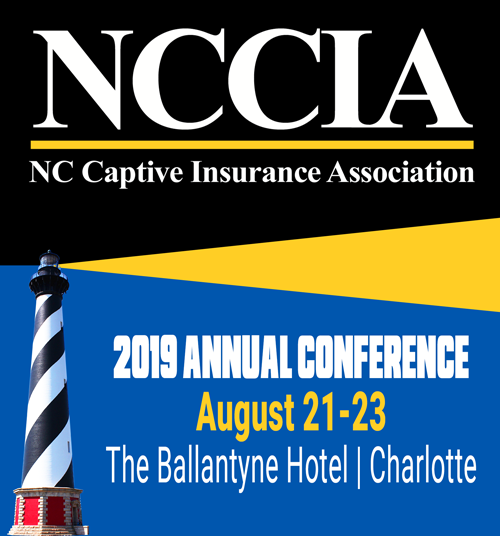 RALEIGH – North Carolina Insurance Commissioner Mike Causey is pleased to report that North Carolina’s captive insurance company program, now in its 5th year of operation, has established itself as a leading domicile for captive insurance companies. Captive insurance is a type of self-insurance through which a business may form its own insurance company to insure its risks. Potential benefits of captive insurance include reduced insurance costs, stabilized pricing, customization of policy terms and conditions to meet a business’s needs, and the ability to obtain coverage that is not readily available or too costly in the commercial market.